Compact & weather resistant bi-directional projection speaker in aesthetically pleasing white plastic cabinet. Creates uniform ambience of sound in a wider area from a single sound source. IP-44 degree of dust and water protection. 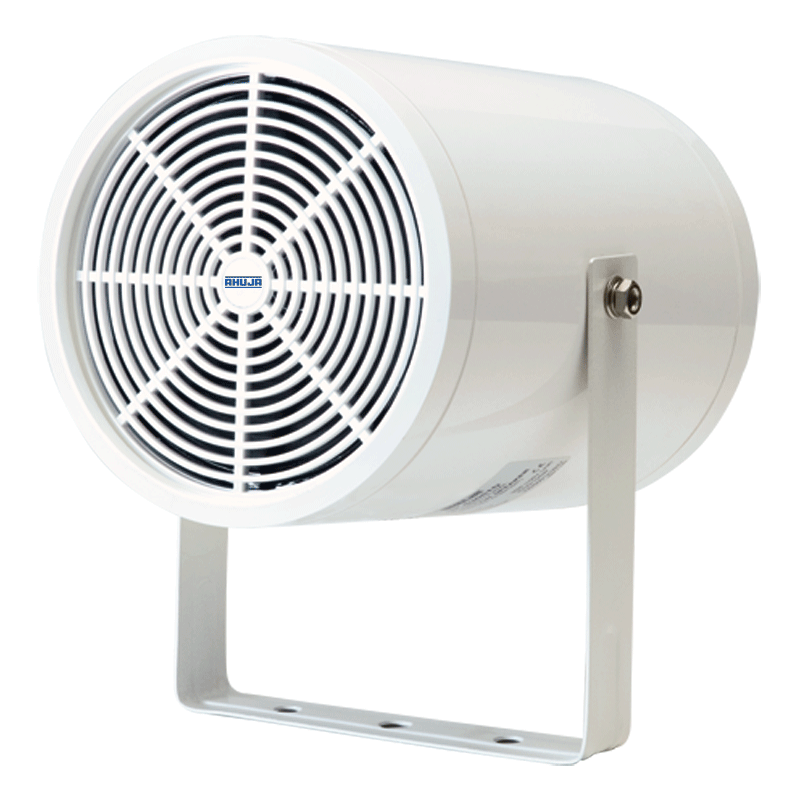 2×6½” Full Range water resistant speakers facing in opposite direction, 30W/100V. ‘U’ type mounting bracket for easy & trouble free installation.